Skinade is a multi-award winning drink that works from the inside out. It’s six active ingredients work synergistically to promote optimal skin function. As a liquid supplement, its innovative formulation is highly bio-available, meaning that the body can absorb and make use of a higher proportion of the active nutrients. Skinade active ingredients are 100% in solution allowing for an absorption rate of 95%. The class-leading, 2kDal patented hydrolysed marine collagen peptides used in Skinade trigger fibroblast proliferation (firing up our natural collagen production) leading to increased skin thickness and therefore a reduction in fine lines and wrinkles. The hydrolysed marine collagen peptides also trigger the HAS2 receptors in the dermis responsible for the production of hyaluronic acid resulting in improved skin hydration. This dual action makes Skinade a highly effective skincare solution which forms one of the cornerstones of our bespoke treatment plans at The Banwell Clinic. Nutraceuticals are nutritional products that provide health and medical benefits, including the prevention and treatment of disease. There has been a huge explosion in interest in nutraceuticals over recent years especially in the skin health & cosmetic medicine arena and at The Banwell Clinic we are proud to be leading the way in these cutting edge technologies. Skinade is a multi-award winning, natural peach and mangosteen flavoured anti-ageing collagen drink containing a patent pending formulation of active ingredients that boosts your body’s natural production of collagen and hyaluronic acid. Skinade improves the way your skin looks and feels in as little as 30 days and at the Banwell Clinic we have been early adopters of this technology. 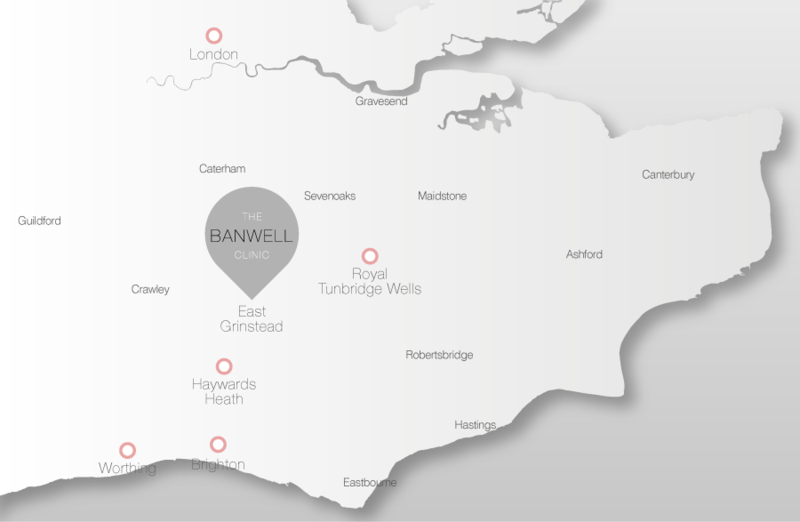 As you know, at The Banwell Clinic, we take a holistic approach to skin health and thus utilise a 360 degree approach which incorporates nutraceuticals in our bespoke skin programmes. WE know that Skinade delivers essential micronutrients in liquid form and helps to re-build the collagen matrix in your skin. There is good scientific evidence that Skinade combats the signs of ageing by reducing oxidative stress, preventing cross linking of collagen fibres, increasing moisture and hydration, increasing natural hyaluronic acid production within the dermal layer of the skin. As a result this restores your skin’s youthful appearance and helps improve tone, texture and hydration. What benefits do patients report? After 4-6 days skin becomes softer and more hydrated. After 10-14 days skin becomes more smooth, radiant, glowing and more uniform. From 2-4 weeks skin starts to appear firmer and fuller with often a noticeable reduction in fine line and wrinkles. After the 4-6 weekly skin-renewal cycle, the improvements continue to build. Individual result will vary but, with continued use on a daily basis, your skin will continue to improve. 30.5% increase in skin hydration. 3.5% increase in skin thickness (improved collagen structure in the dermis). 20.39% increase in collagen density.